Computer Science, University of Georgia, Athens, GA (08/2010-08/2016). Major Professor: Dr. Tianming Liu. Advisory Committee: Dr. Xiaoping Hu (Emory University/Georgia Tech), Dr. Suchi Bhandarkar (University of Georgia), Dr. L. Stephen Miller (University of Georgia). Ph.D. dissertation: Modeling functional interactions between cortical gyri and sulci. Automation, Northwestern Polytechnical University, Xi’an, China (09/2005-07/2009). Thesis: Cortical surface reconstruction based on diffusion tensor imaging data. School of life science and technology, UESTC, Chengdu, China. Department of Computer Science, University of Georgia, Athens, GA.
School of Automation, Northwestern Polytechnical University, Xi’an, China. 1. Chinese Government Award for Outstanding Self-Financed Students Abroad (500 awardees worldwide), 2016. 2. Outstanding Graduate Student (Only one awardee in the department), University of Georgia, Computer Science Department, 2016. 3. Franklin Foundation Travel Award, University of Georgia, 2014, 2015. 4. Best Paper Candidate (top 10), International Symposium on Biomedical Imaging (ISBI), 2014. 5. Trainee Abstract Travel Award (top 11%, 140 out of 1281), Organization for Human Brain Mapping (OHBM) 2013 Annual Meeting, 2013. 6. Outstanding Graduation Thesis Award (top 5%), Northwestern Polytechnical University, Xi’an, China, 2009. 7. Outstanding Graduate of Shaanxi Province (highest honor for graduate, top 0.6%, 25 out of 4,000), Shaanxi Province, China, 2009. 1. ‘Machine Learning in Functional Brain Imaging Analysis’, International Conference on Progress in Informatics and Computing (PIC), Nanjing, 12/2017. 2. ‘Modeling functional differences/interactions between cortical gyri and sulci: methods and applications’, Medical Image Computing Seminar (MICS), Shanghai, 07/2017. 3. ‘Modeling functional differences/interactions between cortical gyri and sulci’, 5th International Workshop on Neuroinformation, dedicated to neuroimaging, and focus in EEG, MEG and MRI, Chengdu, 07/2017. 4. ‘Establishment of common brain architecture’, Fudan University, Shanghai, China, 03/2017. 5. ‘Establishment of Structural and Functional Common Brain Architecture for Connectome-scale Brain Connectivity Analysis’ at Dr. Bin He’s lab, Department of Biomedical Engineering, University of Minnesota, Minneapolis, MN, 10/2016. 6. ‘Modeling functional interactions of cortical gyri and sulci’ at Dr. Xiaoping Hu’s lab, School of Medicine, Emory University, Atlanta, GA, 06/2016. 7. ‘Establishment of structural and functional common brain architecture and its application on modeling functional interactions of cortical gyri and sulci’, Academic Salon, University of Electronic Science and Technology of China, Chengdu, China, 05/2016. 8. ‘Introduction to HAFNI and its application on modeling functional interactions of cortical gyri and sulci’ at Dr. Kaiming Li’s lab, Huaxi MR Research Center, Departments of Radiology, West China Hospital of Sichuan University, Chengdu, China, 07/2015. 9. ‘Functional roles of cortical gyri and sulci’ at Dr. Daoqiang Zhang’s lab, Nanjing University of Aeronautics and Astronautics, Nanjing, China, 05/2014. 10. ‘Inferring group-wise functional brain activities via point processes’, International Symposium on Biomedical Imaging (ISBI), Beijing, China, 04/2014. 11. ‘Assessing structural organization and functional interaction in gyral, sulcal and cortical networks’, MICCAI workshop on multimodal brain image analysis (MBIA), Nagoya, Japan, 09/2013. 12. ‘Modeling Cognitive Processes via Multi-stage Consistent Functional Response Detection’, MICCAI workshop on multimodal brain image analysis (MBIA), Nagoya, Japan, 09/2013. 13. ‘The second generation of dense individualized and common connectivity-based cortical landmarks’, Organization for Human Brain Mapping (OHBM) 2013 Annual Meeting, Seattle, WA, 06/2013. 1. ‘Functional roles of cortical gyri and sulci’, invited lecture in Graduate course ‘Advanced Biomedical Image Analysis’ (CSCI8850), University of Georgia, 02/2014. 1. Shimin Yang (2018-now), Department of Biomedical Engineering, UESTC, master student. 2. 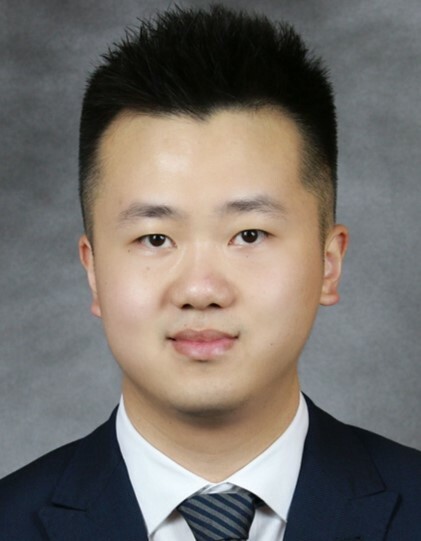 Zhongbo Zhao (2018-now), Department of Biomedical Engineering, UESTC, master student. 3. Han Cui (2017-now), Department of Biomedical Engineering, UESTC, master student. 4. Haobo Zhou (2017-2018), Department of Biomedical Engineering, UESTC, undergraduate student. 5. Feng Xiong (2017-2018), Department of Biomedical Engineering, UESTC, undergraduate student. 6. Shu Zhang (2015-now), Department of Computer Science, University of Georgia, Ph. D. student. 7. Wei Zhang (2015-2017), Department of Computer Science, University of Georgia, Ph. D. student. 8. Shijie Zhao (2013-2016), Department of Computer Science, University of Georgia, visiting Ph. D. student from Northwestern Polytechnical University. 9. Huan Liu (2016-now), School of Automation, Northwestern Polytechnical University, Ph.D. student. 10. Xiaojin Li (2012-2013), School of Automation, Northwestern Polytechnical University, Graduate student. 11. Liang Yang (2012-2013), School of Computer Science and Technology, Nanjing University of Science and Technology, Graduate student. 1. Jiang X, Li X, Lv J, Zhao S, Zhang S, Zhang W, Zhang T, Han J, Guo L, Liu T. Temporal Dynamics Assessment of Spatial Overlap Pattern of Functional Brain Networks Reveals Novel Functional Architecture of Cerebral Cortex. IEEE Transactions on Biomedical Engineering, 65(6):1183-1192, 2018. 2. Jiang X, Zhao L, Liu H, Guo L, Kendrick,KM, Liu, T. A Cortical Folding Pattern-Guided Model of Intrinsic Functional Brain Networks in Emotion Processing. Frontiers in Neuroscience, 12, 575. 2018. 3. Jiang X, Li X, Lv J, Zhang T, Zhang S, Guo L, Liu T. Sparse Representation of HCP Grayordinate Data Reveals Novel Functional Architecture of Cerebral Cortex. Human Brain Mapping, 36(12): 5301-19, 2015. 4. Jiang X, Zhang T, Zhu D, Li K, Chen H, Lv J, Hu X, Han J, Shen D, Guo L, Liu T. Anatomy-guided Dense Individualized and Common Connectivity-based Cortical Landmarks (A-DICCCOL). IEEE Transactions on Biomedical Engineering, 62(4):1108-19, 2015. 5. Jiang X, Zhu D, Li K, Zhang T, Wang L, Shen D, Guo L, Liu T. Predictive Models of Resting State Networks for Assessment of Altered Functional Connectivity in Mild Cognitive Impairment. Brain Imaging and Behavior, 8(4):542-57, 2014. 6. Jiang X, Zhang X, Zhu D. Intrinsic Functional Component Analysis via Sparse Representation on Alzheimer's Disease Neuroimaging Initiative Database. Brain Connect., 4(8):575-86, 2014. 7. Jiang X, Li X, Lv J, Zhao S, Zhang S, Zhang W, Zhang T, Liu T. Modeling Functional Dynamics of Cortical Gyri and Sulci. MICCAI, 9900:19-27, 2016. 8. Jiang X, Zhang T, Zhao Q, Lu J, Guo L, Liu T. Fiber Connection Pattern-guided Structured Sparse Representation of Whole-Brain FMRI Signals for Functional Network Inference. MICCAI, 9349:133-141, 2015. 9. Jiang X, Zhang T, Zhu D, Li K, Lv J, Guo L, Liu T. Anatomy-guided Discovery of Large-Scale Consistent Connectivity-based Cortical Landmarks. MICCAI, 16(Pt 3):617-25, 2013. 10. Jiang X, Zhu D, Li K, Zhang T, Shen D, Guo L, Liu T. Predictive Models of Resting State Networks for Assessment of Altered Functional Connectivity in MCI. MICCAI, 16(Pt 2):674-81, 2013. 11. Jiang X, Zhang T, Hu X, Lu L, Han J, Guo L, Liu T. Music/Speech Classification Using High-Level Features Derived from FMRI Brain Imaging. ACM Multimedia (ACMMM), 825-828, 2012. 12. Jiang X, Lv J, Zhu D, Zhang T, Hu X, Guo L, Liu T. Integrating Group-wise Functional Brain Activities via Point Processes. ISBI, 669-672, 2014. 13. Jiang X, Lv J, Zhu D, Zhang T, Li X, Hu X, Guo L, Liu T. Discovering Network-Level Functional Interactions from Working Memory FMRI Data. ISBI, 13-16, 2014. 14. Zhang S*, Jiang X*, Zhang W*, Zhang T, Chen H, Zhao Y, et al. Joint representation of connectome-scale structural and functional profiles for identification of consistent cortical landmarks in macaque brain. Brain Imaging Behav. doi: 10.1007/s11682-018-9944-7, in press, 2018. *Joint first authors. 15. Zhang W*, Jiang X*, Zhang S*, Howell, BR, Zhao Y, Zhang T, Guo, L, Sanchez, MM, Hu X, Liu T. Connectome-scale Functional Intrinsic Connectivity Networks in Macaques. Neuroscience. 364:1-14, 2017. *Joint first authors. 16. Lv J*, Jiang X*, Li X*, Zhu D*, Zhang S, Zhao S, Chen H, Zhang T, Hu X, Han J, Ye J, Guo L, Liu T. Holistic Atlases of Functional Networks and Interactions Reveal Reciprocal Organizational Architecture of Cortical Function. IEEE Transactions on Biomedical Engineering, 62(4):1120-31, 2015. *Joint first authors. 17. Lv J*, Jiang X*, Li X*, Zhu D, Chen H, Zhang T, Zhang S, Hu X, Han J, Huang H, Zhang J, Guo L, Liu T. Sparse Representation of Whole-Brain FMRI Signals for Identification of Functional Networks. Medical Image Analysis, 20(1):112-34, 2015. *Joint first authors. 18. Yuan Y*, Jiang X*, Zhu D, Chen H, Li K, Lv P, Yu X, Li X, Zhang S, Zhang T, Hu X, Han J, Guo L, Liu T. Meta-Analysis of Functional Roles of DICCCOLs. Neuroinformatics, 11(1):47-63, 2013. *Joint first authors. 19. Zhao S*, Jiang X*, Han J, Hu X, Zhu D, Lv J, Zhang T, Guo L, Liu T. Decoding Auditory Saliency from FMRI Brain Imaging. ACM Multimedia (ACMMM), 873-876, 2014. *Joint first authors. 20. Lv J*, Jiang X*, Li X*, Zhu D, Chen H, Zhang T, Zhang S, Hu X, Han J, Huang H, Zhang J, Guo L, Liu T. Identifying Functional Networks via Sparse Coding of Whole Brain FMRI Signals. NER, 778-781, 2013. *Joint first authors. 21. Liu H, Jiang X, Zhang T, Ren Y, Hu X, Guo L, Han J, Liu T. Elucidating functional differences between cortical gyri and sulci via sparse representation HCP grayordinate fMRI data. Brain research. 1672, 81-90, 2017. 22. Deng F, Jiang X, Zhu D, Zhang T, Li K, Guo L, Liu T. A Functional Model of Cortical Gyri and Sulci. Brain Structure and Function, 219(4):1473-91, 2014. 23. Lv J, Jiang X, Li X, Zhu D, Zhao S, Zhang T, Hu X, Han J, Guo L, Li Z, Coles C, Hu X, Liu T. Assessing Effects of Prenatal Alcohol Exposure Using Group-wise Sparse Representation of FMRI Data. Psychiatry Research: Neuroimaging, 233(2):254-68, 2015. 24. Zhang S, Jiang X, Liu T. Joint Representation of Connectome-Scale Structural and Functional Profiles for Identification of Consistent Cortical Landmarks in Human Brains. MICCAI, 398-406, 2017. 25. Jie B, Jiang X, Zu C, Zhang D. The New Graph Kernels on Connectivity Networks for Identification of MCI. Machine Learning and Interpretation in Neuroimaging (MLINI), 12-20, 2016. 26. Zhang S, Zhao Y, Jiang X, Shen D, Liu T. Joint representation of consistent structural and functional profiles for identification of common cortical landmarks. Brain imaging and behavior, 12(3):728-742, 2018. 27. Zhao Q, Li WXY, Jiang X, Lv J, Lu J, Liu T. Functional brain networks reconstruction using group sparsity-regularized learning. Brain imaging and behavior, 12(3):758-770, 2018. 28. Ge B, Li X, Jiang X, Sun Y, Liu T. A Dictionary Learning Approach for Signal Sampling in Task-based fMRI for Reduction of Big Data. Frontiers in Neuroinformatics, 12, 17, 2018. 29. Zhao S, Han J, Jiang X, Huang H, Liu H, Lv J, Guo L, Liu T. Decoding Auditory Saliency from Brain Activity Patterns during Free Listening to Naturalistic Audio Excerpts. Neuroinformatics, 1-16, 2018. 30. Li Y, Chen H, Jiang X, Li X, Lv J, Peng H, Tsien JZ, Liu T. Discover mouse gene coexpression landscapes using dictionary learning and sparse coding. Brain Structure and Function 222 (9), 4253-4270, 2017. 31. Li Y, Chen H, Jiang X, Li X, Lv J, Li M, Peng H, Tien JZ, Liu T. Transcriptome Architecture of Adult Mouse Brain Revealed by Sparse Coding of Genome-Wide In Situ Hybridization Images. Neuroinformatics, 15(3), 285-295, 2017. 32. Zhang T, Zhu D, Jiang X, Zhang S, Kou Z, Guo L, Liu T. Group-wise Consistent Cortical Parcellation based on Connectional Profiles. Medical Image Analysis, 32:32-45, 2016. 33. Zhu D, Zhang T, Jiang X, Hu X, Yang N, Lv J, Han J, Guo L, Liu T. Fusing DTI and FMRI Data: A Survey of Methods and Applications. NeuroImage, 102 Pt 1:184-91, 2014. 34. Li X, Zhu D, Jiang X, Jin C, Zhang X, Guo L, Zhang J, Hu X, Li L, Liu T. Dynamic Functional Connectomics Signatures for Characterization and Differentiation of PTSD Patients. Human Brain Mapping, 35(4):1761-78, 2014. 35. Zhang T, Zhu D, Jiang X, Ge B, Hu X, Han J, Guo L, Liu T. Predicting Cortical ROIs via Joint Modeling of Anatomical and Connectional Profiles. Medical Image Analysis, 17(6):601-15, 2013. 36. Ji X, Han J, Jiang X, Hu X, Guo L, Han J, Shao L, Liu T. Analysis of Music/Speech via Integration of Audio Content and Functional Brain Response. Information Sciences, 297:271-282, 2015. 37. Makkie M, Zhao S, Jiang X, Lv J, Zhao Y, Ge B, Li X, Han J, Liu T. HAFNI-Enabled Largescale Platform for Neuroimaging Informatics (HELPNI). Brain Informatics, 2(4):225-238, 2015. 38. Liu H, Zhao S, Jiang X, Zhang S, Hu X, Quo L, Liu T. Characterizing task-evoked and intrinsic functional networks from task-based fMRI data via two-stage sparse dictionary learning. ISBI, 70-73, 2018. 39. Zhu D, Li X, Jiang X, Chen H, Shen D, Liu T. Exploring High-Order Functional Interactions via Structurally-Weighted LASSO Models. IPMI, 23:13-24, 2013. 40. Li Y, Chen H, Jiang X, Li X, Lv J, Peng H, Tsien J, Liu T. Discover Mouse Gene Coexpression Landscape Using Dictionary Learning and Sparse Coding. MICCAI, 9900:63-71, 2016. 41. Jie B, Liu M, Jiang X, Zhang D. Sub-network Based Kernels for Brain Network Classification. Proceedings of the 7th ACM International Conference on Bioinformatics, Computational Biology, and Health Informatics, 622-629, 2016. 42. Chen H, Iraji A, Jiang X, Lv J, Kou Z, Liu T. Longitudinal Analysis of Brain Recovery After Mild Traumatic Brain Injury Based on Groupwise Consistent Brain Network Clusters. MICCAI, 9350:194-201, 2015. 43. Li X, Hu X, Jiang X, Guo L, Han J, Liu T. Assessing Structural Organization and Functional Interaction in Gyral, Sulcal and Cortical Networks. MBIA, 8159:9-17, 2013. 44. Lv J, Zhu D, Jiang X, Li K, Hu X, Han J, Guo L, Liu T. Modeling Cognitive Processes via Multi-Stage Consistent Functional Response Detection. MBIA, 8159:180-188, 2013. 45. Zhao S, Han J, Jiang X, Hu X, Lv J, Zhang S, Ge B, Guo L, Liu T. Exploring Auditory Network Composition During Free Listening to Audio Excerpts via Group-wise Sparse Representation. ICME, 2016. 46. Li X, Dong Q, Jiang X, Lv J, Liu T. Multple-Demand System Identification and Characterization via Sparse Representations of FMRI Data. ISBI, 70-73, 2016. 47. Zhang T, Chen H, Jiang X, Ge B, Guo L, Liu T. Group-wise Consistent Sulcal Fundi Segmentation based on DMRI-derived ODF Features. ISBI, 638-641, 2015. 48. Zhang T, Zhu D, Jiang X, Guo L, Liu T. Group-wise consistent cortical parcellation based on DTI-derived connectional profiles. ISBI, 826-829, 2014. 49. Chen H, Yu X, Jiang X, Li K, Li L, Hu X, Han J, Guo L, Hu X, Liu T. Evolutionarily-Preserved Consistent Gyral Folding Patterns across Primate Brains. ISBI, 1218-1221, 2014. 50. Zhu D, Shen D, Jiang X, Liu T. Connectomics Signature for Characterizaton of Mild Cognitive Impairment and Schizophrenia. ISBI, 325-328, 2014. 51. Zhang T, Zhu D, Jiang X, Guo L, Liu T. Predicting Functional Cortical ROIs via Joint Modeling of Anatomical and Connectional Profiles. ISBI, 516-519, 2013. 52. Li X, Zhu D, Jiang X, Jin C, Guo L, Li L, Liu T. Discovering Common Functional Connectomics Signatures. ISBI, 620-623, 2013. 53. Zhao S, Han J, Hu X, Jiang X, Lv J, Zhang T, et al. Extendable supervised dictionary learning for exploring diverse and concurrent brain activities in task-based fMRI. Brain Imaging and Behavior, 1-15, 2017. 54. Zhu D, Li K, Guo L, Jiang X, Zhang T, Zhang D, Chen H, Deng F, Faraco CC, Jin C, Wee C, Yuan Y, Lv P, Yin Y, Hu X, Duan L, Hu X, Han J, Wang L, Shen D, Miller LS, Li L, Liu T. DICCCOL: Dense Individualized and Common Connectivity-based Cortical Landmarks. Cerebral Cortex, 23(4):786-800, 2013. 55. Chen H, Li K, Zhu D, Jiang X, Yuan Y, Lv P, Zhang T, Guo L, Shen D, Liu T. Inferring Group-wise Consistent Multimodal Brain Networks via Multi-View Spectral Clustering. IEEE Transactions on Medical Imaging, 32(9):1576-86, 2013. 56. Zhao S, Han J, Lv J, Jiang X, Hu X, Zhao Y, Ge B, Guo L, Liu T. Supervised Dictionary Learning for Inferring Concurrent Brain Networks. IEEE Transactions on Medical Imaging, 34(10):2036-45, 2015. 57. Zhang S, Li X, Lv J, Jiang X, Guo L, Liu T. Characterizing and Differentiating Task-based and Resting State FMRI Signals via Two-Stage Sparse Representations. Brain Imaging and Behavior, 10(1):21-32, 2016. 58. Chen M, Han J, Hu J, Jiang X, Guo L, Liu T. Survey of Encoding and Decoding of Visual Stimulus via FMRI: An Image Analysis Perspective. Brain Imaging and Behavior, 8(1):7-23, 2014. 59. Fang J, Hu X, Han J, Jiang X, Zhu D, Guo L, Liu T. Data-driven Analysis of Functional Brain Interactions during Free Listening to Music and Speech. Brain Imaging and Behavior, 9(2):162-77, 2015. 60. Hou Y, Xiao T, Zhang S, Jiang X, Li X, Hu X, Han J, Guo L, Miller LS, Neupert R, Liu T. Predicting Movie Trailer Viewer’s “Like/Dislike” via Learned Shot Editing Patterns. IEEE Transactions on Affective Computing, 7(1):29-44, 2016. 61. Zhao S, Han J, Lv J, Jiang X, Hu X, Zhang S, Lynch ME, Coles C, Guo L, Hu X, Liu T. A Multi-Stage Sparse Coding Framework to Explore the Effects of Prenatal Alcohol Exposure. MICCAI, 9900:28-36, 2016. 62. Zhao Q, Lu J, Lv J, Jiang X, Zhao S, Liu T. Exploring Brain Networks via Structured Sparse Representation of FMRI Data. MICCAI, 9900:55-62, 2016. 63. Lv J, Lin B, Zhang W, Jiang X, Hu X, Han J, Guo L, Ye J, Liu T. Modeling Task FMRI Data via Supervised Stochastic Coordinate Coding. MICCAI, 9349:239-246, 2015. 64. Zhang S, Li X, Lv J, Jiang X, Zhu D, Chen H, Zhang T, Guo L, Liu T. Sparse Representation of Higher-Order Functional Interaction Patterns in Task-based FMRI Data. MICCAI, 16(Pt 3):626-34, 2013. 65. Lv J, Li X, Zhu D, Jiang X, Zhang X, Guo L, Liu T. Sparse Representation of Group-wise FMRI Signals. MICCAI, 16(Pt 3):608-16, 2013. 66. Zhang S, Li X, Lv J, Jiang X, Guo L, Liu T. Characterizing and Differentiating Task-based and Resting State FMRI Signals via Two-Stage Dictionary Learning. ISBI, 675-678, 2015. 67. Zhang S, Lv J, Li X, Jiang X, Guo L, Liu T. Activated Cliques: Network-based Activation Detection in Task-based FMRI. ISBI, 274-277, 2013. 68. Zhang W, Lv J, Li X, Zhu D, Jiang X, Zhang S, et al. Experimental Comparisons of Sparse Dictionary Learning and Independent Component Analysis for Brain Network Inference from fMRI Data. IEEE Transactions on Biomedical Engineering, doi: 10.1109/TBME.2018.2831186, in press, 2018. 69. Zhang T, Kong J, Jing K, Chen H, Jiang X, Li L, et al. Optimization of macaque brain DMRI connectome by neuron tracing and myelin stain data. Comput Med Imaging Graph. 69:9-20, 2018. 70. Li X, Chen H, Zhang T, Yu X, Jiang X, Li K, et al. Commonly preserved and species-specific gyral folding patterns across primate brains. Brain Structure and Function. 222(5), 2127-2141, 2017. 71. Zhao Y, Chen H, Li Y, Lv J, Jiang X, Ge F, Zhang T, Zhang S, Ge B, Lyu C, Zhao S, Han J, Guo L, Liu T. Connectome-Scale Group-wise Consistent Resting-State Network Analysis in Autism Spectrum Disorder. NeuroImage: Clinical, 12:23-33, 2016. 72. Ge B, Makkie M, Wang J, Zhao S, Jiang X, Li X, Lv J, Zhang S, Zhang W, Han J, Guo L, Liu T. Signal Sampling for Efficient Sparse Representation of Resting State FMRI Data. Brain Imaging and Behavior, 10(4), 1206-1222, 2016. 73. Chen H, Li K, Zhu D, Guo L, Jiang X, Liu T. Group-wise optimization and individualized prediction of structural connectomes. ISBI, 742-745, 2014. 74. Wang P, Zhu D, Li X, Chen H, Jiang X, Sun L, Cao Q, Li A, Liu T, Wang Y. Identifying Functional Connectomics Abnormality in Attention Deficit Hyperactivity Disorder. ISBI, 544-547, 2013. 75. Li X, Du L, Zhang T, Hu X, Jiang X, Guo L, Liu T. Species Preserved and Exclusive Structural Connections Revealed by Sparse CCA. MICCAI, 9900:123-131, 2016. 76. Zhang T, Kong J, Jing K, Chen H, Jiang X, Li L, Guo L, Lu, J, Hu, X, Liu T. Multi-Scale and Multimodal Fusion of Tract-Tracing, Myelin Stain and DTI-derived Fibers in Macaque Brains. MICCAI, 9350:246-254, 2015. 77. Jing K, Zhang T, Lu J, Chen H, Jiang X, Guo L, Li L, Hu X, Lv J, Ge B, Liu T. Multiscale and Multimodal Fusion of Tract-Tracing and DTI-derived Fibers in Macaque Brains. ISBI, 938-942, 2015. 78. Lian Z, Lv J, Xing J, Li X, Jiang X, Zhu D, Xu J, Potenza MN, Liu T, Zhang J. Generalized FMRI Activation Detection via Bayesian Magnitude Change Point Model. ISBI, 21-24, 2014. 79. Lian Z, Li X, Xing J, Lv J, Jiang X, Zhu D, Xu J, Potenza MN, Liu T, Zhang J. Exploring Functional Brain Dynamics via a Bayesian Connectivity Change Point Model. ISBI, 600-603, 2014. 80. Zhu D, Li K, Deng F, Zhang D, Jiang X, Chen H, Guo L, Miller LS, Liu T. Fine Granularity Parcellation of Gyrus via Fiber Shape and Connectivity Based Features. ISBI, 817-821, 2011. 81. Zhao Y, Dong Q, Zhang S, Zhang W, Chen H, Jiang X, et al. Automatic Recognition of fMRI-Derived Functional Networks Using 3-D Convolutional Neural Networks. IEEE Transactions on Biomedical Engineering, 65 (9), 1975-1984, 2018. 82. Lv J, Lin B, Li Q, Zhang W, Zhao Y, Jiang X, et al. Task fMRI data analysis based on supervised stochastic coordinate coding. Medical image analysis, 38, 1-16, 2017. 83. Han J, Ji X, Hu X, Zhu D, Li K, Jiang X, Cui G, Guo L, Liu T. Representing and Retrieving Video Shots in Human-Centric Brain Imaging Space. IEEE Transactions on Image Processing, 22(7):2723-36, 2013. 84. Zhang D, Guo L, Hu X, Li K, Zhu D, Jiang X, et al. Identification of cortical landmarks based on structural connectivity to subcortical regions. International journal of computational biology and drug design, 4(4), 345-360, 2011. 85. Zhao Y, Zhang S, Chen H, Zhang W, Lv J, Jiang X, et al. A novel framework for groupwise registration of fMRI images based on common functional networks. ISBI, 485, 2017. 86. Zhang S, Hu X, Lv J, Zhang T, Li X, Jiang X, Guo L, Liu T. Learning FMRI-guided Predictor of Video Shot Changes. ISBI, 1210-1213, 2014. 87. Zhu D, Li K, Faraco CC, Deng F, Zhang D, Jiang X, Chen H, Guo L, Miller LS, Liu T. Optimization of Functional Brain ROIs via Maximization of Consistency of Structural Connectivity Profiles. ISBI, 2150-2154, 2011. 88. Hu X, Guo L, Zhang T, Li G, Nie J, Jiang X, Zhang D, Liu T. Joint Analysis of Fiber Shape and Cortical Folding Patterns. ISBI, 1165-1168, 2010. 89. Hu X, Deng F, Li K, Zhang T, Chen H, Jiang X, Lv J, Zhu D, Faraco CC, Zhang D, Mesbah A, Han J, Hua X, Xie L, Miller LS, Guo L, Liu T. Bridging Low-Level Features and High-Level Semantics via fMRI Brain Imaging for Video Classification. ACM Multimedia (ACMMM), 451-460, 2010. 90. Li K, Zhang T, Hu X, Zhu D, Chen H, Jiang X, et al. Human-friendly attention models for video summarization. ACM Conference on Multimodal Interfaces. 2010. 91. Zhang X, Li X, Jin C, Chen H, Li K, Zhu D, Jiang X, Zhang T, Lv J, Hu X, Han J, Zhao Q, Guo L, Li L, Liu T. Identifying and Characterizing Resting State Networks in Temporally Dynamic Functional Connectomes. Brain Topography, 27(6):747-65, 2014. 92. Zhu D, Zhang D, Faraco CC, Li K, Deng F, Chen H, Jiang X, Guo L, Miller LS, Liu T. Discovering Dense and Consistent Landmarks in the Brain. IPMI, 22:97-110, 2011. 93. Li K, Guo L, Faraco CC, Zhu D, Deng F, Zhang T, Jiang X, Zhang D, Chen H, Hu X, Miller LS, Liu T. Individualized ROI Optimization via Maximization of Group-wise Consistency of Structural and Functional Profiles. NIPS, 2010. 94. Lian Z, Li X, Young T, Hao Y, Xing J, Lv J, Jiang X, Zhu D, Liu T, Zhang J. Dynamic Network Partition via Bayesian Connectivity Bi-partition Change Point Model. ISBI, 545-548, 2014. 95. Zhang D, Guo L, Zhu D, Zhang T, Hu X, Li K, Jiang X, Chen H, Lv J, Deng F, Zhao Q. Identification of Cortical Landmarks Based on Consistent Connectivity to Subcortical Structures. MBIA, 68-75, 2011. 96. Li K, Guo L, Faraco CC, Zhu D, Deng F, Zhang T, Jiang X, et al. Human-centered Attention Models for Video Summarization. International Conference on Multimodal Interfaces and the Workshop on Machine Learning for Multimodal Interaction, 27, 2010. 97. Yuan J, Li X, Zhang J, Luo L, Dong Q, Lv J, Zhao Y, Jiang X, Zhang S. Spatio-temporal modeling of connectome-scale brain network interactions via time-evolving graphs. NeuroImage. 180(Pt B):350-369, 2018. 98. Nie J, Guo L, Li K, Wang Y, Chen G, Li L, Chen H, Deng F, Jiang X, Zhang T, Huang L, Faraco CC, Zhang D, Guo C, Yap PT, Hu X, Li G, Lv J, Yuan Y, Zhu D, Han J, Sabatinelli D, Zhao Q, Miller LS, Xu B, Shen P, Platt S, Shen D, Hu X, Liu T. Axonal Fiber Terminations Concentrate on Gyri. Cerebral Cortex, 22(12):2831-9, 2012. 99. Li K, Guo L, Faraco CC, Zhu D, Chen H, Yuan Y, Lv J, Deng F, Jiang X, Zhang T, Hu X, Zhang D, Miller LS, Liu T. Visual Analytics of Brain Networks. NeuroImage, 61(1):82-97, 2012. 100. Ge B, Wang J, Lv J, Zhang S, Zhao S, Zhang W, Zhao Q, Li X, Jiang X, Han J, Guo L, Liu T. Signal Sampling for Efficient Sparse Representation of Resting State FMRI Data. ISBI, 1360-1363, 2015. 101. Zhang D, Guo L, Li G, Nie J, Deng F, Li K, Hu X, Zhang T, Jiang X, Zhu D, Zhao Q, Liu T. Automatic Cortical Surface Parcellation based on Fiber Density Information. ISBI, 1133-1136, 2010. 102. Jiang X, Zhu D, Liu T. Holistic Atlases of Functional Networks and Interactions (HAFNI). Machine Learning in Medical Imaging, 435-454, Elsevier, 2016. 103. Guo L, Li H, Jiang X, Liu T. A Hybrid Approach to Automatic Clustering of White Matter Fibers. NPU, filed in China, patent number: 200910023856. 1. Oxytocin modulates the human brain functional connectome, OHBM Annual Meeting, 2018. 2. The Second Generation of Dense Individualized and Common Connectivity-based Cortical Landmarks, OHBM Annual Meeting, 2013. (oral presentation). 3. Integrating Group-wise Functional Brain Activities via Point Processes. OHBM Annual Meeting, 2013.